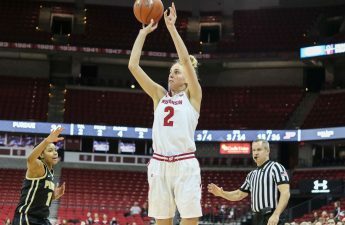 The University of Wisconsin Women’s basketball team (13-15, 4-12 Big Ten) lacked scoring depth in their road contest with Rutgers University (19-8, 11-5) Monday. The Scarlet Knights received contributions from many key players en route to a 73–53 victory. Rutgers had lost four of their last five entering play Monday night. 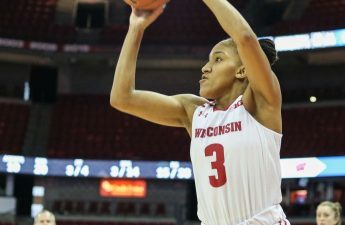 Wisconsin freshman Imani Lewis and senior Marsha Howard tallied 18 and 16 points respectively, but the rest of the starting lineup combined for a mere six points, continuing an offensive drought from those other than Lewis and Howard. The Scarlet Knights led by as many as 25 points at various points during the third and fourth quarters thanks in large part to the 17-point outing from sophomore Tekia Mack off the bench. Mack averages 5.1 points per game on the year but was able to find holes in the Badger defense. 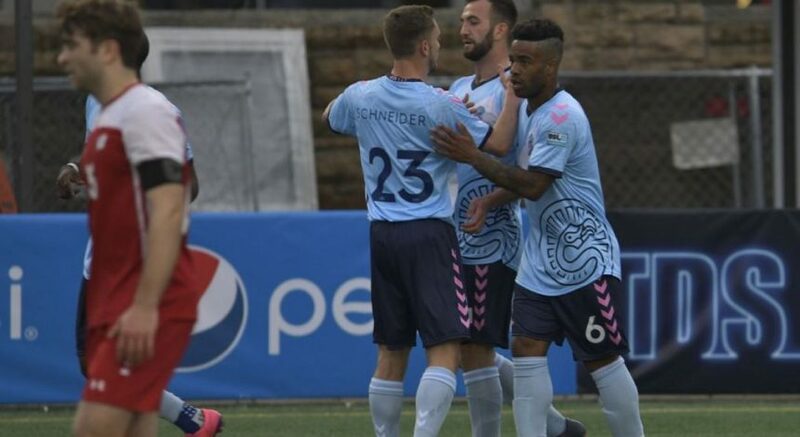 Lewis had a respectable performance in her return to her hometown New Jersey. She grew up less than 50 miles from Rutgers and even received a scholarship from the university, but it was the Scarlet Knights who prevailed in the first matchup between Lewis and her home state. The Badgers’ struggles on the road are well documented. Their lone road win of the season came against the UW-Milwaukee Panthers — the second game of the season and barely a bus ride for the Badgers. Road wins are not easy in the Big Ten regardless, but it was Wisconsin’s lack of outside shooting and free throw consistency that makes these road wins appear insurmountable. 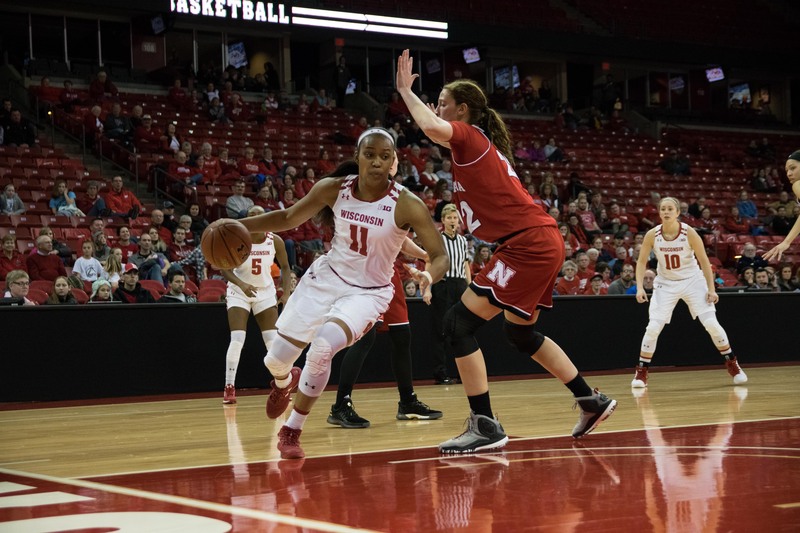 Howard has averaged 20.7 points in her last eight games, but her nine turnovers against Rutgers slowed the Wisconsin offense and helped the Scarlet Knights to 30 points off turnovers, a margin that, if minimized, would have made it a much closer game. Rutgers’ bench combined for 39 points while the Badgers received only 13 points from their bench. Moving forward, bench play and more depth from the other Badger starters will be crucial. Senior Kelly Karlis scratched across just one point and failed to attempt a three-pointer for the first time this season. The Badgers only recorded two three-point baskets on 11 tries, lowering their Big Ten ranking in three-point percentage to the worst in the conference. The Scarlet Knights pressured Wisconsin ball handlers, producing 18 steals and 24 Badger turnovers — both season-highs for the Badgers and something that cannot continue if Wisconsin wants notch more victories. These turnovers limited the Badgers to only 48 shots which is a season-worst as well. With only two games left in the Big Ten slate, a short memory could serve the Badgers well. If Wisconsin could continue their level of play prior to this contest, they could snag wins in their last two games against Ohio State and Michigan. They will play the Buckeyes Thursday in the last home game at the Kohl Center this season. The Badgers will honor seniors Karlis and Howard before the game starts at 7:30 pm. Catch the game on BTN or listen live on 100.9, Badger Radio Network.